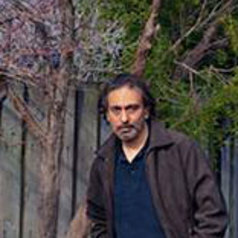 Asad Khan works in the Faculty of Information Technology at Monash University as a Senior Lecturer. He received the B.Sc. from University of Engineering and Technology, Lahore, Pakistan in 1980. He received the M.Sc. with distinction from Heriot-Watt University, Edinburgh, UK in 1990. He was awarded a Ph.D. in 1994 by Faculty of Engineering at Heriot-Watt. His work on parallel domain decomposition using natural programming techniques led to large research grants from British Science & Research Council and leading industrial bodies. He was appointed a lecturer at Heriot-Watt in 1993 and later took up a computer centre management role at Monash University in Australia. During this period he was involved with the design of large storage and high performance computing projects. He was appointed a senior lecturer in Faculty of Information Technology at Monash University in 2000. He is a recipient of several large grants from Australian Research Council and Department of Education Science & Training. His applied research involves development of E-Research systems and intelligent sensor networks. His theoretical research areas include natural computation, neural networks, and pattern recognition.